In the wake of his father's death, Gilbert du Toit begins to see rays of light and schools of fish streaking through the air. He believes that these visions are sending him a message, and sets off to follow his peculiar guides across the vastness of the Great Karoo. A journey that begins with a sense of purpose deteriorates into a manic and unpredictable expedition. When Gilbert's path crosses that of the Howlers, a trio of e-convicts touring the country with violin, trumpet and guitar, he is steered to dinosaur parks and backroad bars in the South African hinterland. Yet, as his travels unfold, it becomes clear that his past cannot be outpaced easily. 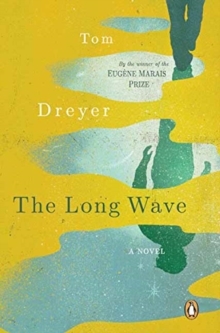 A love affair in Kuils River offers respite, but in the end Gilber must confront the question: what is the message in the signs he sees all around him? 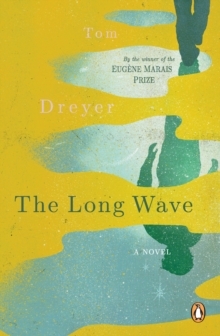 In glimmering prose infused with humour and pathos, Tom Dreyer's The Long Wave is a tale of transformation, friendship and the mystery at the heart of ordinary life.